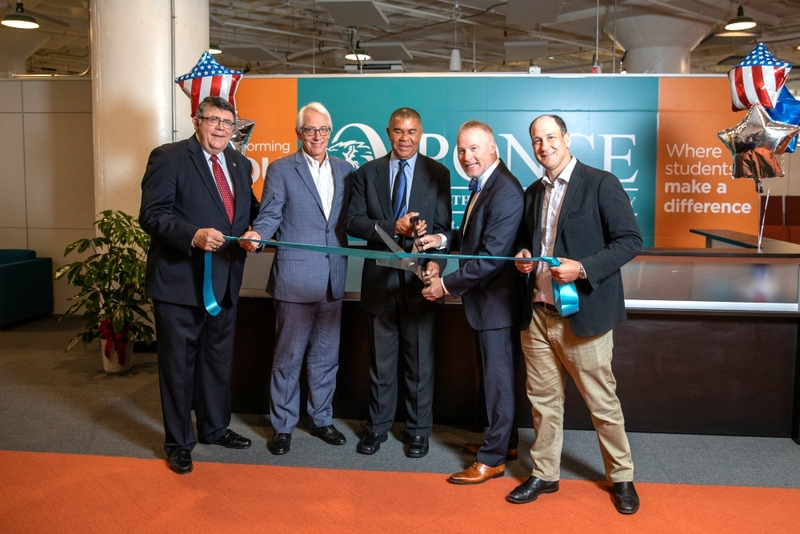 Congressman Lacy Clay, the U.S. Representative from Missouri’s 1st Congressional District, commemorated the opening of Ponce Health Sciences University/St. Louis. 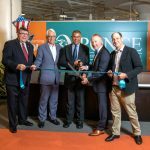 Congressman Lacy Clay, the U.S. Representative from Missouri’s 1st Congressional District, recently inaugurated the opening of Ponce Health Sciences University – St. Louis. The campus, which began holding classes in August, is the U.S. mainland affiliate of Ponce Health Sciences University in Ponce, Puerto Rico. Ponce-St. Louis offers a fully accredited Master of Science in Medical Sciences (MSMS) degree, which is a nine month multidisciplinary program in the basic medical sciences. The school’s MSMS curriculum, which is the first and only one available in Missouri, provides students with a broad-based area of study that’s designed to improve their academic credentials for admission to professional schools. Ponce-St. Louis is located on Tucker Blvd. in the Globe Building. Ponce Health Sciences University (PHSU), a fully accredited university, is dedicated to providing the highest quality graduate education programs available in medicine, clinical psychology, biomedical sciences, and public health in order to prepare world-class, culturally competent health professionals to better serve a growing population of diverse patients across the United States. Located in Ponce, Puerto Rico, and St. Louis, MO, PHSU is recognized around the world for its educational service and research achievements. Tags: "medical school st. louis" "msms degree missouri" "msms degree st. louis" "master of science in medical sciences", "medical school" "puerto rico" "medical school in puerto rico" "puerto rico medical school", "st. louis medical school" "master of science in medical sciences" "msms degree st. louis" "msms degree missouri"